M-class flare. Current Solar Wind speed is around 420 km/s. Currently, on the sun’s superficiality we can detect three active regions with sunspots. Geomagnetic conditions where quiet in the past 24 hours, but are expected to reach up to minor storm (K=5) levels in the evening of August 31st. This entry was posted in Our observatory, Sun online and tagged magnetic storm on August 31, 2013 by mari. Explanation: Dwarf galaxy NGC 5195 is best known as the smaller companion of spiral M51, the Whirlpool galaxy. Seen together they seem to trace the curve and dot of a cosmic question mark, recorded in Lord Rosse’s 19th century drawings as one of the original spiral nebulae. Dwarfed by enormous M51 (aka NGC 5194), NGC 5195 spans about 20,000 light-years. A close encounter with M51 has likely triggered star formation and enhanced that galaxy’s prominent spiral arms. Processed from image data available in the Hubble Legacy Archive, this majestic close-up of NGC 5195 makes it clear that the dwarf galaxy now lies behind M51. A tidal bridge of dark dust clouds and young blue star clusters stretches from the outskirts of M51 on the right, appearing in silhouette against the dwarf galaxy’s yellowish glow. The famous pair of interacting galaxies lie some 30 million light-years away, toward the handle of the Big Dipper, and the constellation of the Hunting Dogs. This entry was posted in Astronomy Picture of the Day, Astrophotography on August 31, 2013 by mari. an estimated speed of about 1000 km/s. With this speed, the estimated time of arrival at Earth is on August 31th around 21:00.
is expected to arrive on September 2d around 20:00 UT. This entry was posted in Our observatory, Sun online and tagged Coronal Mass Ejection on August 30, 2013 by mari. Explanation: These three bright nebulae are often featured in telescopic tours of the constellation Sagittarius and the crowded starfields of the central Milky Way. In fact, 18th century cosmic tourist Charles Messier cataloged two of them; M8, the large nebula left of center, and colorful M20 on the right. The third, NGC 6559, is above M8, separated from the larger nebula by a dark dust lane. All three are stellar nurseries about five thousand light-years or so distant. The expansive M8, over a hundred light-years across, is also known as the Lagoon Nebula. M20’s popular moniker is the Trifid. Glowing hydrogen gas creates the dominant red color of the emission nebulae, with contrasting blue hues, most striking in the Trifid, due to dust reflected starlight. The colorful skyscape recorded with telescope and digital camera also includes one of Messier’s open star clusters, M21, just above the Trifid. This entry was posted in Astronomy Picture of the Day, Astrophotography on August 30, 2013 by mari. There was 1 C-class flare (C1.3) in the past 24 hours. An M-class flare is possible next 24 hours in one of the Active Regions. expected to reach active to minor storm in the evening of August 30th due to the arrival of the fast stream of a coronal hole. This entry was posted in Our observatory, Sun online and tagged C-class flares, coronal hole, M-class flares, magnetic storm, solar flares on August 30, 2013 by mari. Image Credit & Copyright: Laurie Hatch Explanation: This striking, otherworldy scene really is a view from planet Earth. 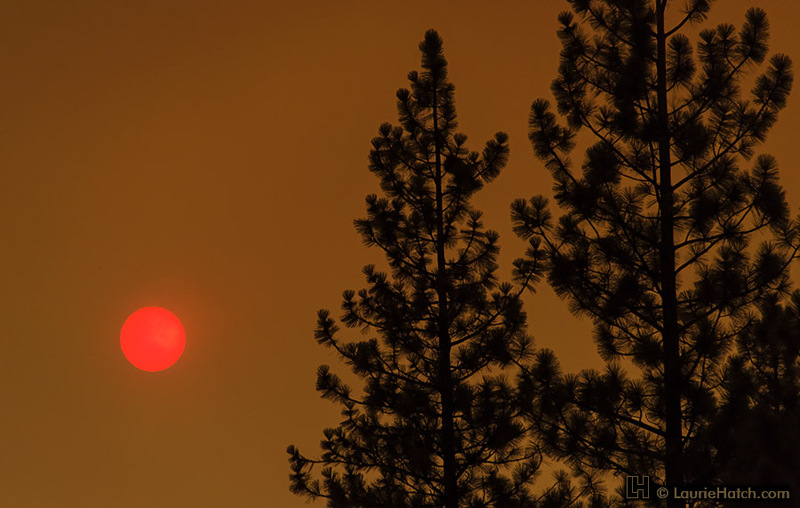 The ochre sky and strawberry red sun were photographed on August 22nd near the small village of Strawberry, California, USA. Found along Highway 108, that location is about 30 miles north of the origin of California’s large Rim Fire, still threatening areas in and around Yosemite National Park. The extensive smoke plumes from the wildfire are easily visible from space. But seen from within the plumes, the fine smoke particles suspended in the atmosphere dim the Sun, scattering blue light and strongly coloring the sky. This entry was posted in Astronomy Picture of the Day, Astrophotography on August 29, 2013 by johann. Solar activity was quiet, featuring no C-class flares in the past 24 hours. Solar wind speed increased to around 450 km/s which is generated by a coronal hole connected to Earth on August 23d to August 25th. It was associated with a current sheet crossing. 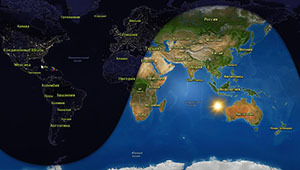 Currently the geomagnetic conditions are quiet and are expected to remain so for the next 48 hours. On the end of day 3 (August 30th) active conditions are expected due to a new coronal hole currently connected to Earth. This entry was posted in Our observatory, Sun online and tagged coronal hole, Solar wind on August 28, 2013 by mari. Solar activity has been low with no C-class flares in the past 24 hours. There is a very small chance for a C-class flare from AR NOAA 11835. Solar wind speed is at around 340 km / s.
next 48 hours. A new coronal hole is connected to Earth with possibly a fast solar wind stream and this will result in a current sheet crossing. The estimated arrival time of this high speed stream is around August 30th and might result in active geomagnetic conditions. (also it calls as Solar Superstorm). This entry was posted in Our observatory, Sun online and tagged coronal hole on August 28, 2013 by mari. Vega (α Lyr, α Lyrae, Alpha Lyrae) is the brightest star in the constellation Lyra, the fifth brightest star in the night sky and the second brightest star in the northern celestial hemisphere, after Arcturus. 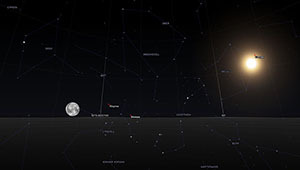 It is a relatively close star at only 25 light-years from Earth, and, together with Arcturus and Sirius, one of the most luminous stars in the Sun’s neighborhood. This entry was posted in Astrophotography, Our observatory and tagged Vega on August 26, 2013 by mari. Solar activity is low. There are currently 4 numbered AR on the solar disk, C-class (or higher) flaring is unlikely. Solar wind speed is around 350 km/s. Geomagnetic conditions are quiet and are expected to remain so for the next 48 hours. The largest group of sunspots occurred in April 1947 in the southern hemisphere of the Sun. Its maximum length – 300 000 km, maximum width – 145 000 km. 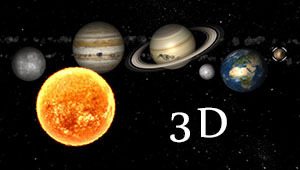 Every day – new and interesting events and astrophotography of the project team or SPONLI SPACE ONLINE. This entry was posted in Our observatory, Sun online and tagged low solar activity, Solar wind on August 26, 2013 by mari.